Miley Cyrus: Miley, looked absolutely amazing, she had a sort of grunge punk rock look and it really complemented her new short platinum hair do. I loved her black Emilio Pucci gown and the accessories she paired it with. Holland Roden: I was a bit undecided at first on Holland's dress but I definitely really like it. I think the short girlieness was what really attracted me to liking it and she just looks wonderful in it. Taylor Swift: When seeing outfits at celebrity events I always love seeing the girls in dresses BUT this year Taylor Swift, really blew me away, she opted for a white J. Mendel pant suit, this was a risky outfit to wear but Taylor definitely pulled it off well. Katy Perry: I think my all round best dressed female of the night hands down has to go to Katy, she looked stunning in her sheer Elie Saab gown. Her long dark hair made her look even more perfect too. Rihanna: First off Rihanna, really pulled off the short hair look last night and I think it went in well with her floor length white gown. The open back on the dress also added the best touch to it. P!nk: I can't believe how stunning P!nk, looked last night. She really worked that silver dress well. The pattern on the back of the dress looked fab. As ever, her hair looked amazing. Ke$ha: I'm still undecided on Ke$ha's dress but I think Ke$ha, seriously looked so beautiful. I think we aren't really used to seeing her like this. I loved how she kept it all simple and no glitter in sight, haha. Demi Lovato: Demi, always looks fabulous and I knew she'd come out wearing something I'd be in total love with. I loved her short little sparkly black dress she wore to perform in and loved how she paired it with a leather jacket. Emma Watson: Emma, looked incredible. The Peter Pilotto outfit she wore was nice and bright and really made her stand out from the other females. 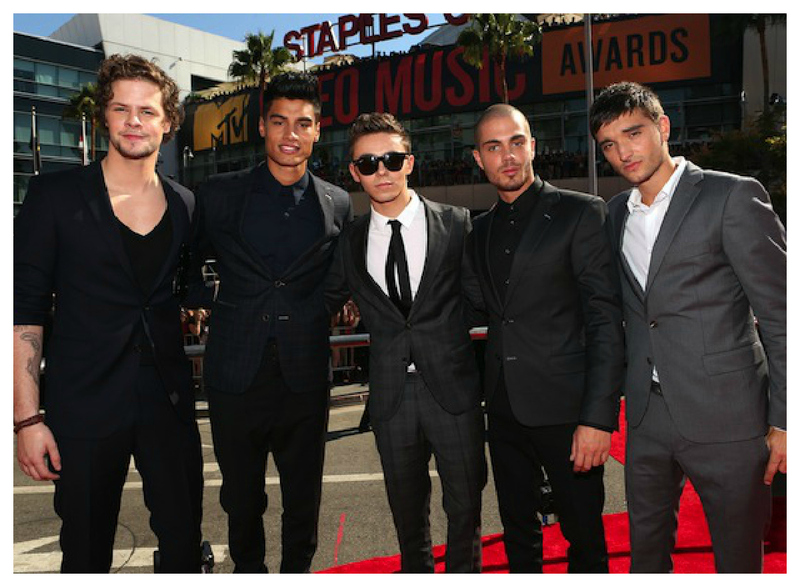 I just had to quickly add in that by far in my eyes the best dressed males were The Wanted lads. They all looked dashing in their Tommy Hilfiger suits.